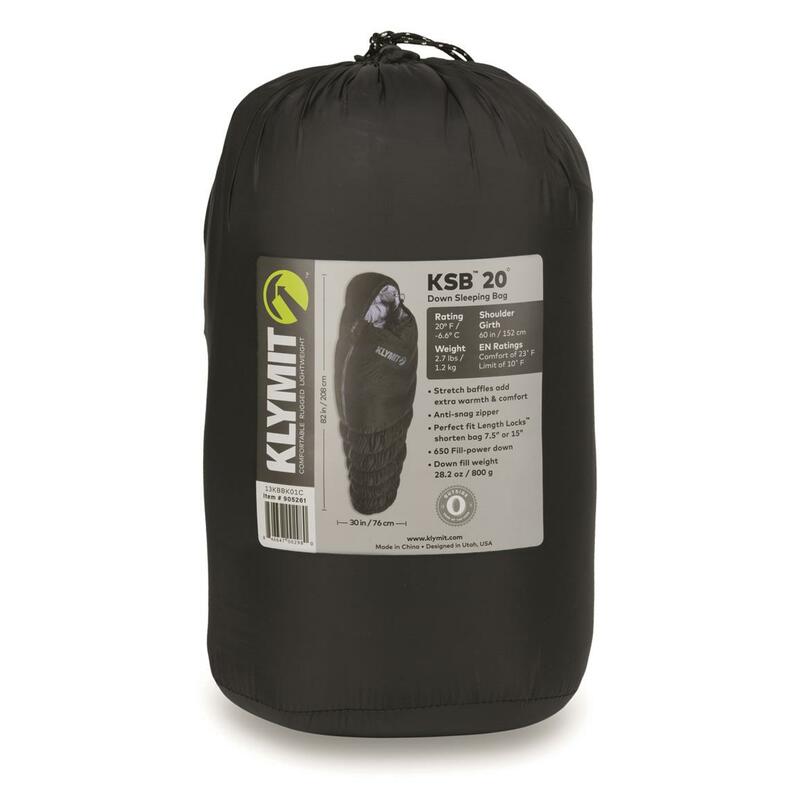 Get trekking with less schlepping with the KSB Down Sleeping Bag. 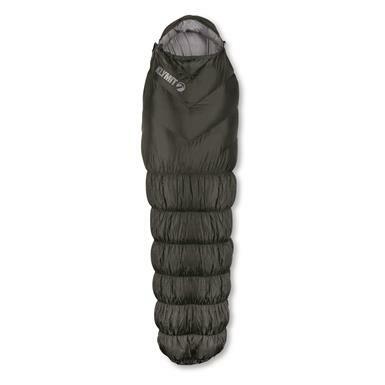 The three-season Bag is loaded with thermal efficiency, yet compresses to a manageable size for a lightweight trek to the high country. 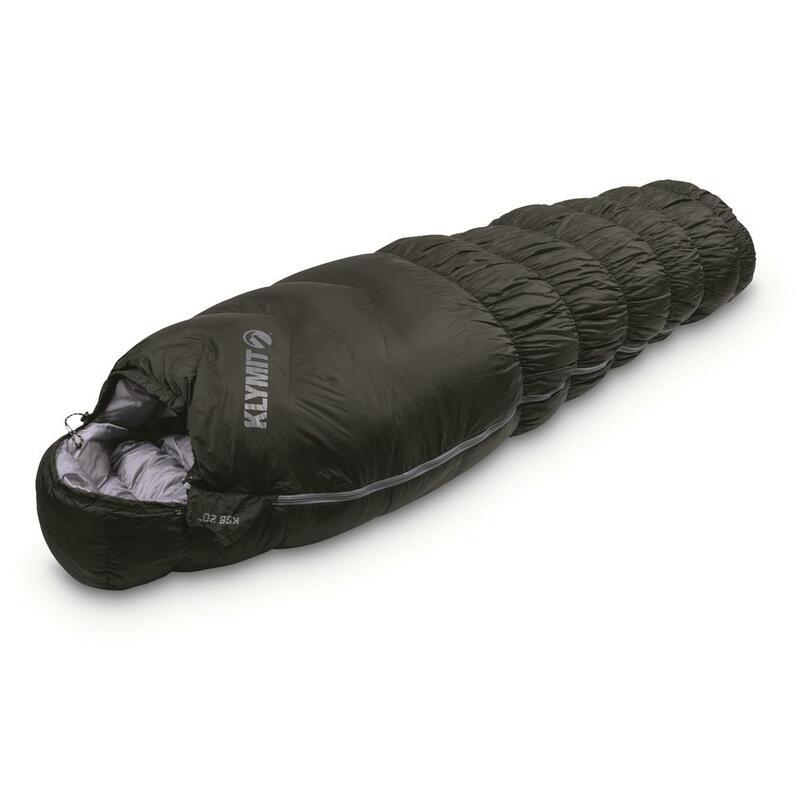 Its 650-fill power offers ample warmth down to 20°F, plus partners with a draft collar, over-stuffed foot box and insulated mummy hood to minimize heat loss. And go ahead and twist and turn—the flexible baffles at the body’s core and expanded chest area won't restrict your movement. Need a special place to stash your car key or headlamp? 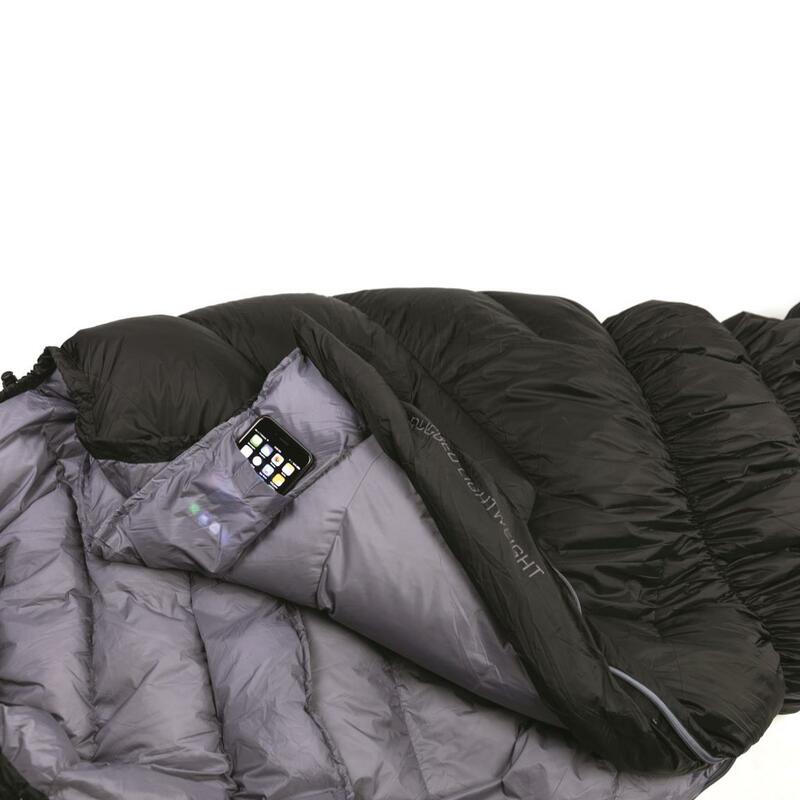 Use the stash pocket that's integrated into the draft collar. 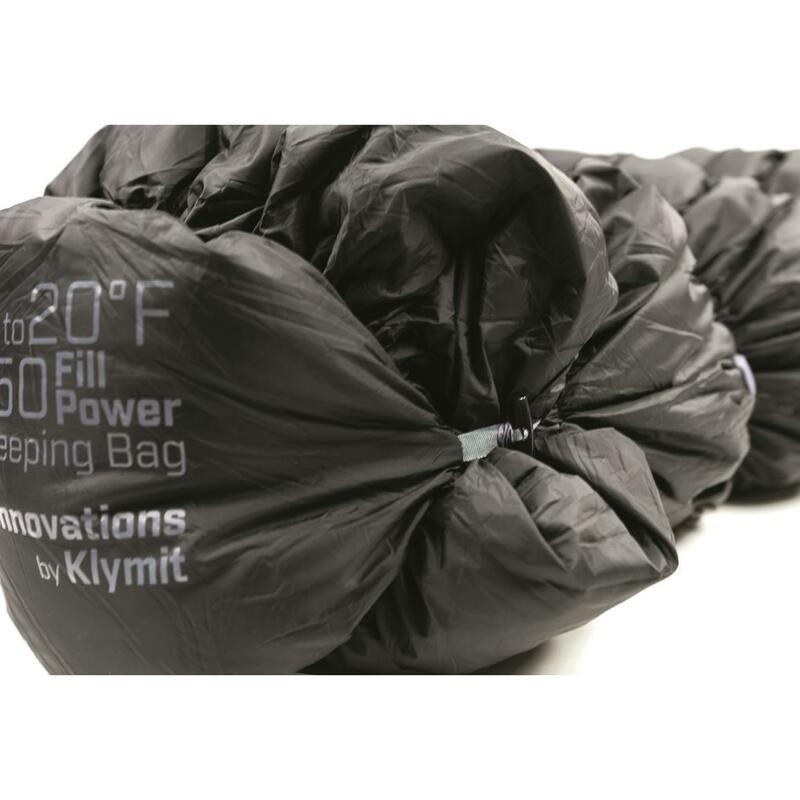 Dimensions: 31.5" x 84.5" x 21.7"w.
Klymit KSB Down Sleeping Bag, 20 Degree is rated 4.0 out of 5 by 1. Rated 4 out of 5 by Drs5375 from Great bag I bought this bag a year ago and I'm overall happy with it. It's very warm. The only complaint I have is that I have experienced two small tears during normal use. Not a huge deal I just duct taped them shut, but down does eventually work it's way out. 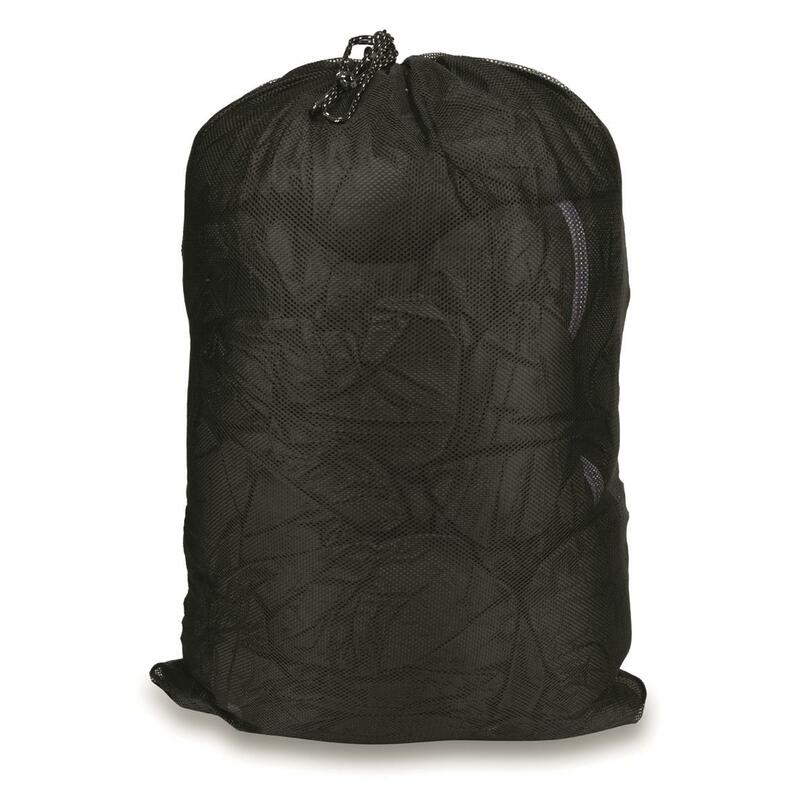 But again over all a great bag.